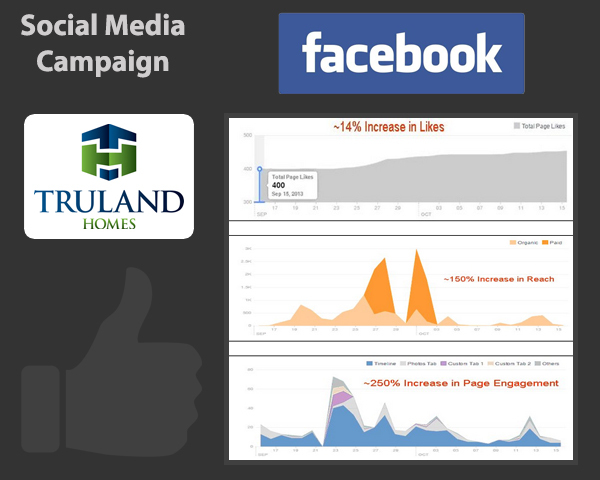 Truland Homes – Social Media Campaign | ASTRALCOM - Content Strategy, Conversion Marketing and Customer Acquisition. Truland Homes – Social Media Campaign | ASTRALCOM – Content Strategy, Conversion Marketing and Customer Acquisition. We created a series of posts and adverts and used Facebook to help promote the event before, during and after), to increase brand awareness and to engage prospective homebuyers. ASTRALCOM helped to produce a 14% increase in likes, 150% increase in reach and a 250% increase in page engagement. With ASTRALCOM as your BFF, you’ll be making new friends in no time. Just contact us today and we’ll make you feel like a part of the gang.